I've got two sweet little nieces, who make my eyes wander around children's stuff a lot lately, especially with their birthdays come up. There are so much nice toys these days, and although children love colour, it's easy to give them something that is both beautiful and fun. So, when I stumbled upon these things, I couldn't resist to bookmark them. Even the websites are so cool! Imagine miniature dolls walking and shouting to you, while mowing the lawn, ha! 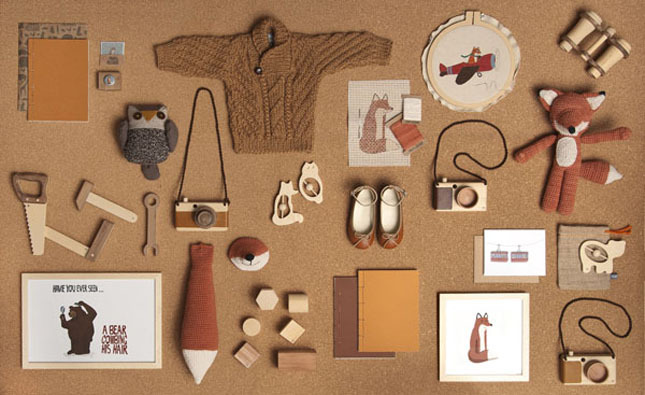 Incredible fun toys by Fanny & Alexander. Made me think of the movies 'The fantastic mister Fox' and 'Moonrise Kingdom'. For stockists and international purchases, look here. 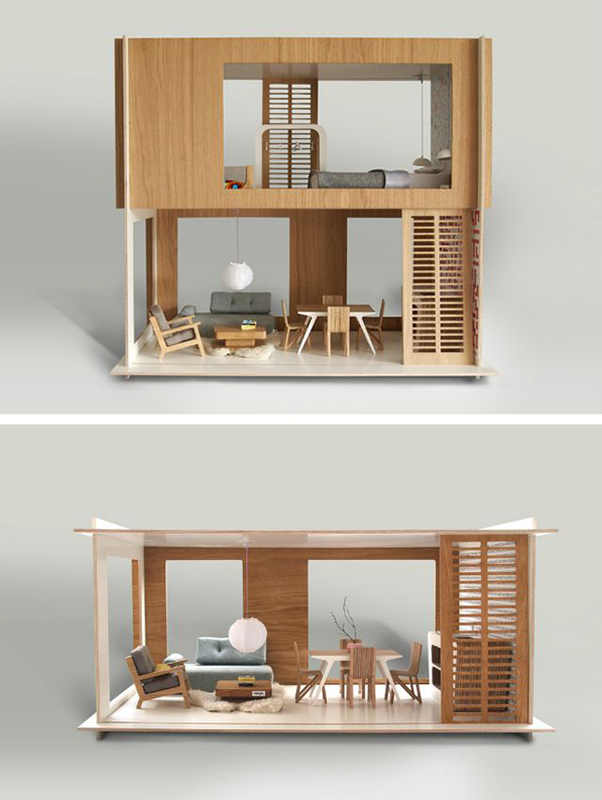 Now this is a designer dollhouse! You would almost not dare to play with it. Designed and for sale at Miniio for 219 euro. 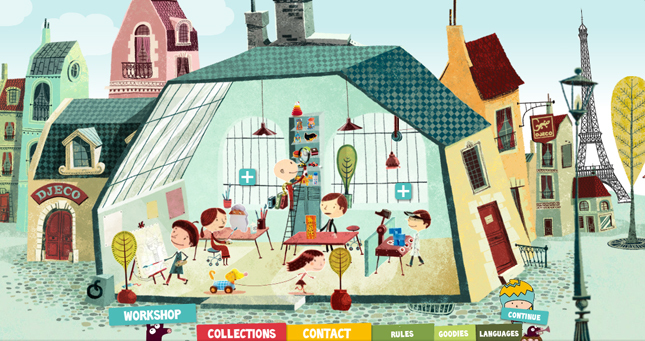 Djeco sells the more colourful toys for children. Kitchens, wall stickers and beautiful mobiles, like this traffic mobile above. For sale at 26,50 euro. Make sure to visit that website, it's worth the wait! 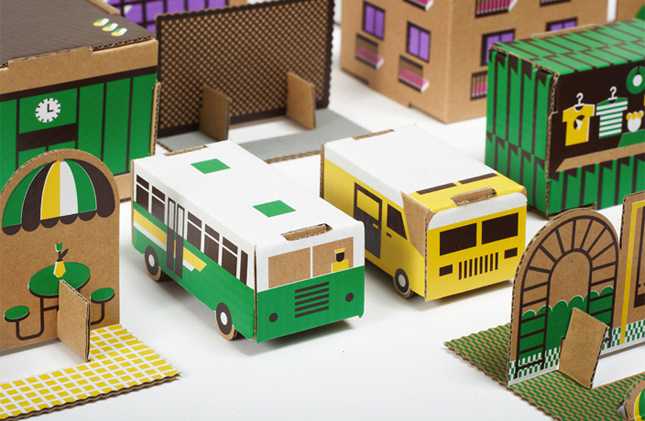 Beautiful designed towns of cardboard are made by Papierowemiasto. I always liked to build my own things, and this Polish town can be totally build up from scratch. 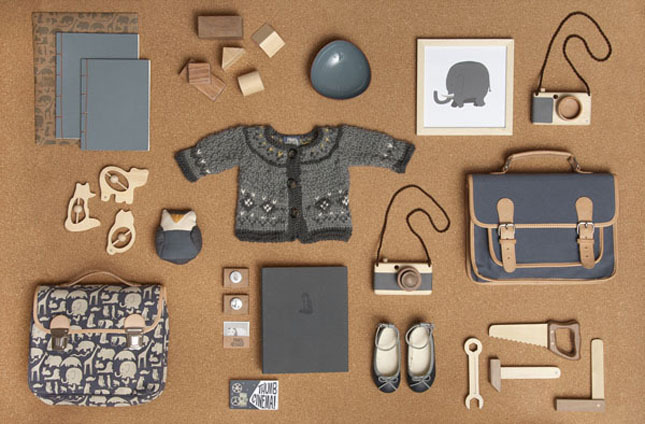 The town is available in a few different sets, that can be freely combined. A single set contains four sheets and costs 6 euro. 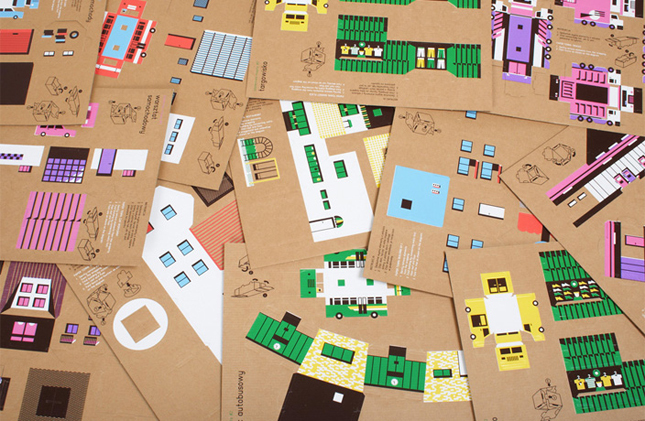 Although it's cardboard only, elements are quite resistant and difficult to destroy. Order here.